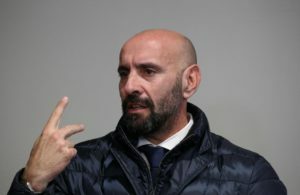 Monchi looks set to snub the chance to become Arsenal sporting director after agreeing to return to Sevilla on a three-year deal. 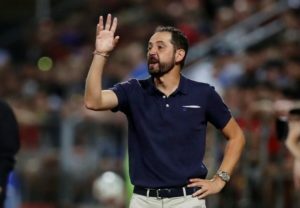 Sevilla have dismissed coach Pablo Machin following their Europa League exit at the hands of Slavia Prague on Thursday. Sevilla boss Pablo Machin has called on the club's fans to use their frustration to try and inspire the team. 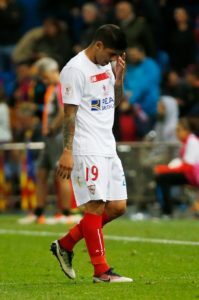 Sevilla midfielder Ever Banega could be a wanted man in the summer amid reports that Arsenal are ready to make another move. 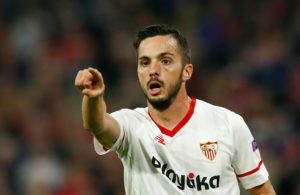 Sevilla face a battle to keep hold of midfielder Pablo Sarabia next summer as the likes of PSG and Chelsea have been linked with him. 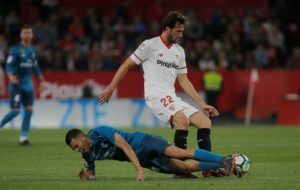 Midfielder Franco Vazquez says he could have moved to the Premier League last summer but had no interest in leaving Sevilla. 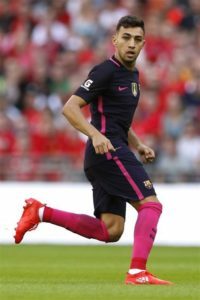 Sevilla boss Pablo Machin has confirmed striker Munir El Haddadi faces around a month on the sidelines with a muscle injury. 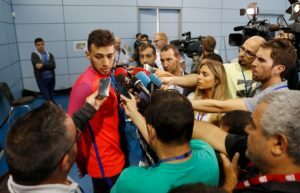 Sevilla have confirmed they have reached an agreement to sign Barcelona forward Munir El Haddadi and Ajax youngster Maximilian Wober. 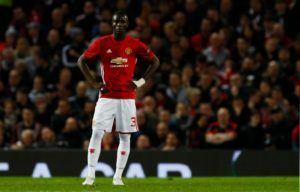 Sevilla are reportedly eager to wrap up a deal for Manchester United defender Eric Bailly this month. 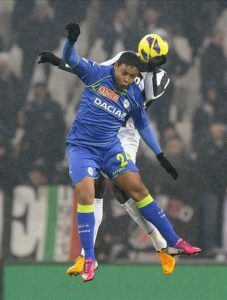 Sevilla are reportedly open to selling club-record signing Luis Muriel to Milan this January and are prepared to make a loss. Andre Silva says Sevilla must learn to take more of their chances after edging past Real Valladolid 1-0 on Sunday. 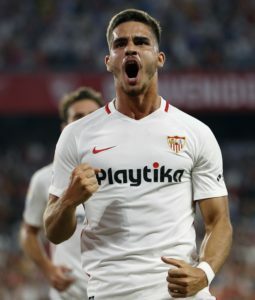 Sevilla have confirmed they intend to sign loan star Andre Silva on a permanent deal from Italian club AC Milan. 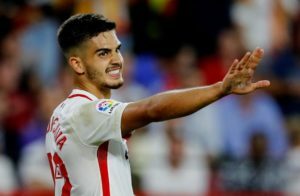 Sevilla striker Wissam Ben Yedder says he can get even better and he's keen to continue on his impressive journey at the club. Sevilla are reportedly rejigging their January plans following the injury to Maxime Gonalons. 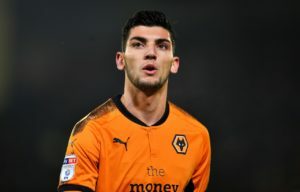 Sevilla have been linked with Wolverhampton Wanderers striker Rafa Mir, whose price-tag is reported to be heading towards £9million. 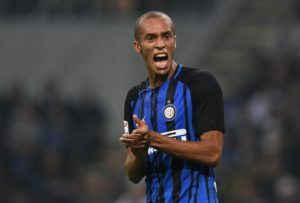 Defender Miranda is expected to leave Inter Milan on a free transfer next summer and Sevilla are leading the race to sign him. Sevilla boss Pablo Machin says the La Liga leaders go to Barcelona on Saturday with confidence as he vowed to attack at the Nou Camp. Sevilla will make a move for Brighton midfielder Davy Propper in the January transfer window, according to reports in Spain. 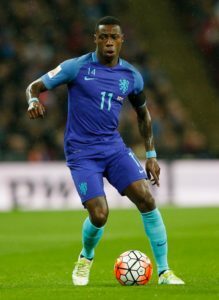 New Sevilla signing Quincy Promes says he will do all he can to achieve 'great things' for the club following his deadline day transfer. 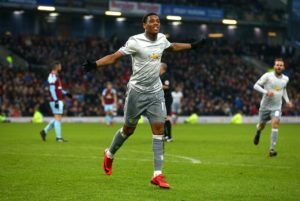 Sevilla are reportedly readying a loan offer for Manchester United forward Anthony Martial as they seek an attacking addition. 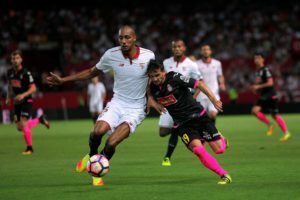 Sevilla boss Pablo Machin says he wants to hold onto Steven N'Zonzi and warns clubs they will have to pay big money to sign him.